With the school year ending soon, there are so many options this summer to keep your child’s mind active and engaged. From science camps, to overnight farm exploration, to acting classes there is something for every child in the city. We hope our list makes it easier to decide which summer camp works best for your family. Discover new worlds, engage in eye-opening experiments and play next to Lake Michigan this summer during an Adler Planetarium summer camp. The Adler Planetarium offers a variety of unique summer day camp experiences for children ages 3 through 16. Children will have the opportunity to spend part of their summer exploring space. Various summer sessions are offered through August. For a full list of summer camp information and prices, visit adlerplanetarium.org/summer-camps/ or call 312-322-0329. Do you like doing something different every day? Do you like science? Are you a music enthusiast or a sports buff? Then Queen of Peace is for you. Queen of Peace High School offers youth an opportunity to explore new dances, perfect their acting skills, partake in science experiments, or play a basketball and tennis. For more information or to register, visit queenofpeacehs.org or call 708-496-4792. Develop football skills, life skills, and have fun with Chicago Bears Heroes and USAFB Coaches. Highlights include: safe, non-contact football instruction for kids ages 6-14; professional, USA Football Certified Coaches; and small space games and tournament action; and much more. For more information on schedule and price, call 866-805-8555 or visit chicagobears.com/community/youth-football-camps. Galileo’s mission is create a world of fearless innovators. Programs at Galileo are aimed for kids from Pre-K through 8th grade and combines art, science, and outdoor activities around weekly themes. With two locations here in Chicago, Galileo sets itself apart from other summer camps by pairing up young innovators with the best instructors and counselors in the field of science and art. With a location in Lincoln Park and Lakeview, learn more about Galileo summer camps at galileo-camps.com. For more information, call 1-800-854-3684. Looking to keep your kids active, engaged and safe this summer? Enroll your child this summer at one of the many parks across the city to be part of Chicago Park District’s Summer Day Camp. Always affordable, Summer Day Camp fills the day with fun activities, such as bird watching, field trips, city exploration and more. 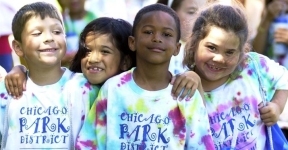 If you would like to learn more about the Chicago Park District Summer Day Camp, visit chicagoparkdistrict.com/day-camp/ or email daycamp@chicagoparkdistrict.com. Going to a summer camp is not only a memory that your child will cherish forever, but it also has the potential to change their life. 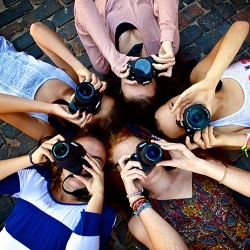 Summer camp allows your child the opportunity to learn new skills, form wonderful relationships with their peers and learn more about themselves. The YMCA of Metro Chicago offers training in First Aid, CPR, and AED, provides instructional and recreational swimming as part of the program, and teaches health eating habits. If you would like to learn more about YMCA of Metro Chicago, visit ymcachicago.org/programs/summer-camp or call 312-932-1200. Nature’s Farm Camp is an overnight summer camp where kids ages 8-14 step out of their every day and immerse themselves in nature –growing, foraging, cooking, building, and exploring. Campers do with their hands, head, and heart. The goal at Nature’s Farm Camp is to have campers flourish to become competent, confident, and resilient problem solvers while enjoying the outdoors. The camp is located in Cornell, IL. If you would like to learn more, visit naturesfarmcamp.com or call 773-580-7780. With the school year coming to an end, it is time for Cicero moms and dads to sign up their children for a summer full of safe, enjoyable, supervised activities at Clyde Park District’s Sun and Fun Summer Camp. The Park District’s Sun and Fun Summer Camp offers kids aged 3 to 14 a chance to stay active and healthy during those long summer days. Campers will play games, do crafts, and swim every day under the supervision of trained lifeguards. To learn more about the camp and price, call Clyde Park District at 708-652-3545 and as for the recreation office.